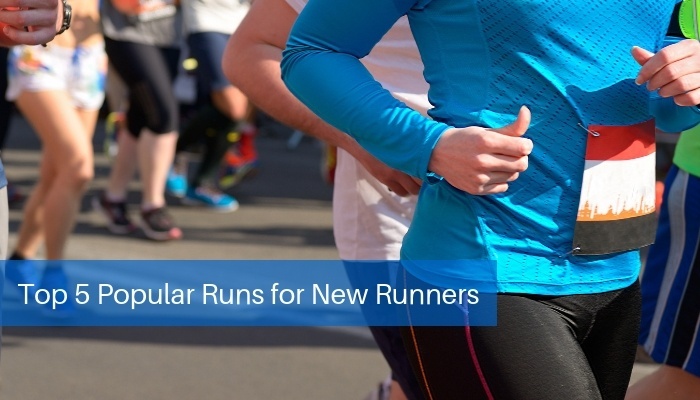 The sport of running, specifically for entering races, has grown a lot in the last 10 years, but many of the established races (like the Boston or Chicago Marathons) are intimidating for new runners. However, there are plenty of small or themed races which provide a more relaxed, less competitive atmosphere for those just breaking into the race scene. These 5 races offer some of the most fun and rewarding experiences, combined with beautiful scenery and/or unique venues to mix racing with leisure activities. The Krispy Kreme Challenge is a fun race to start your race year off, and a reasonable distance at 5 miles. This charity race, which supports the UNC Children’s Hospital, began as a dare among UNC students in 2004, and has since developed into a fun combination of fundraising, environmental improvement (using compostable products and earning a sustainability award), and a unique challenge among participants. Racers run 2.5 miles, eat a dozen donuts, and run another 2.5 miles before losing said donuts. The goal is to do all of this within one hour. Even if you choose not to participate in the gastronomical aspect of this 14-year annual race (there are categories based on your commitment to eating donuts: Challenger, Casual, and No Doughnut categories and teams), the overall relaxed feeling, costumes, and atmosphere make this a great race to start your running career and year with. The location alone (running through Disney property) is exciting; we all know that when Disney does something, no expense is spared. Character appearances throughout the race, fun Disney costumes (racers are known for dressing as their favorite princesses), and plenty of swag make this a great family event. The “World’s Fastest 5K” (the Carlsbad 5000) attracts some of the country’s most elite runners in the country to race this fast course. They race after all the amateur runners participate, allowing their race to provide inspiration for new runners. In addition to the 5K and a Junior 5K, there is an “All Day 20k” where brave racers can run the course four times. The seaside race course, which is mostly flat and turns slight downhill at the finish, provides breathtaking views of the ocean. The event also includes live entertainment and a 2-day health & fitness expo. Over 10,000 runners have participated in this annual event in recent years. Carlsbad is a beautiful small town just north of San Diego, and its proximity to local tourist attractions and mild weather year-round make it a fun destination race. This famous marathon, BolderBoulder, combines the beauty of the Rocky Mountains (with its challenging high altitude) with he famous blue skies of Colorado. The third largest road race in the US, race numbers are only dwarfed by even more spectators who spend Memorial Day cheering on the 50,000+ racers. A Memorial Day tribute, including Air Force flyovers and skydivers, add an extra level of excitement to this popular event, which uses a “wave” start, breaking runners into categories based on their running (and even walking) pace. With that many racers, this allows for all levels to have a successful event. The holiday weekend event also includes an expo, carnival, and bands stationed periodically throughout the course, including bagpipes, pep bands, opera, and even belly dancing! Want to see the Vegas strip shut down? This is one of the few times that ever happens. This longstanding event (2018 will be the 10th year) brings all the bells and whistles with live bands, a run-through wedding (totally Vegas style) and a complete health & fitness expo. The Rock N’ Roll Las Vegas event includes a 5k, 10k, half marathon and marathon, so runners of all abilities can get in on the action. Gather a team and/or dress like Elvis! This is yet another way to combine a race with a fun getaway. These are a just a smattering of some of the fun races to be found year-round throughout the country. No matter where you are or what time of year you want to race, you can find opportunities. Let’s Hit the Races! Copyright © 1999-2013 PowerLung, Inc.